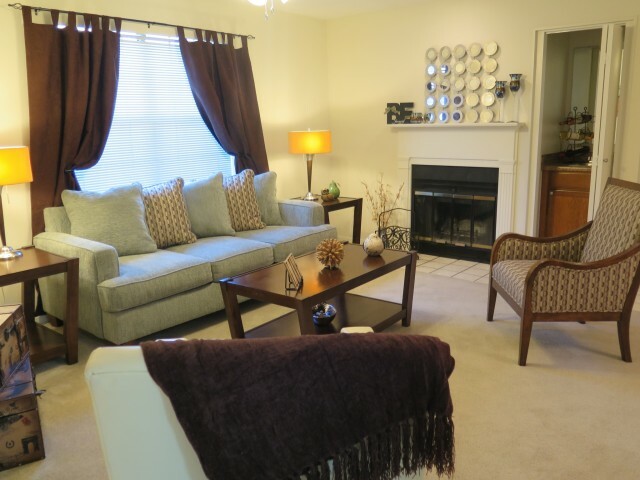 Perfect two bedroom for those who like separate bedrooms! 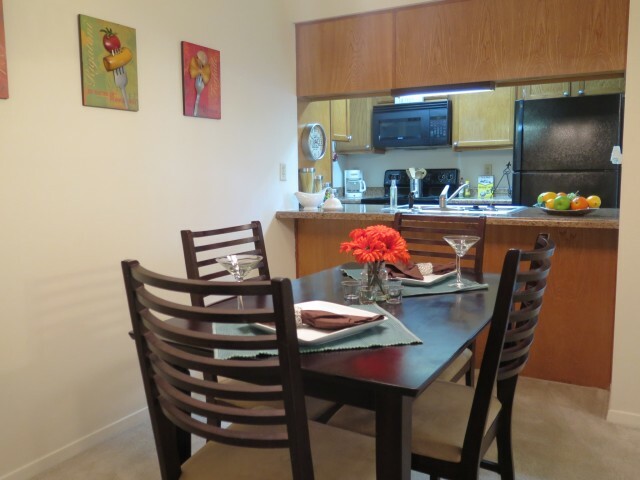 This apartment features a combination living/dining area with an attached kitchen (that includes all the appliances you need! 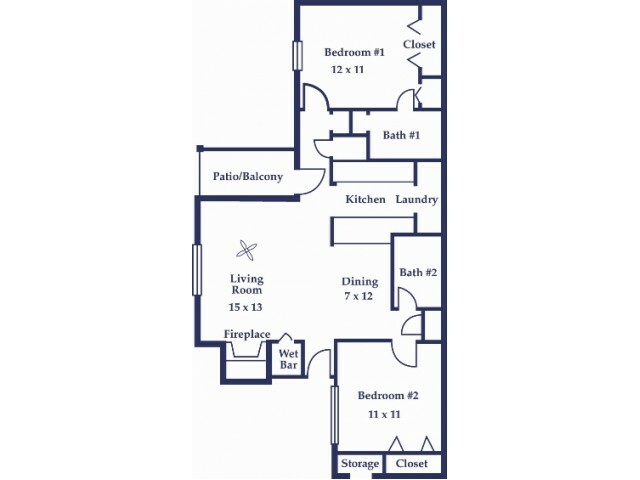 ), so all of your common space is in the middle of the apartment. 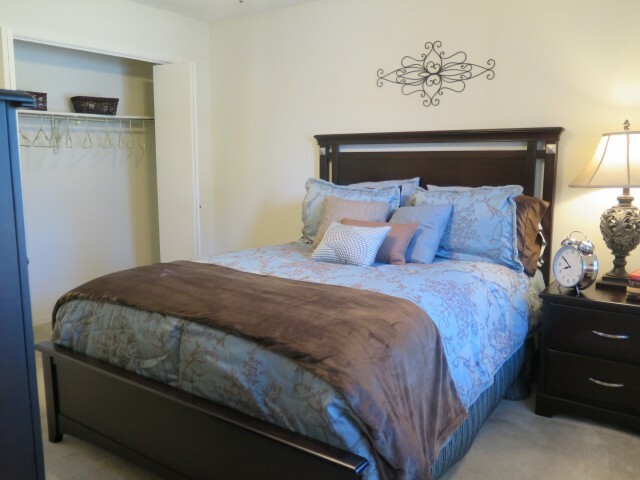 The master bedroom is located at one end, with a private bath, linen storage, and wall closets. The second bedroom is at the front of the apartment with a bath across the hall plus linen storage right outside the door. It features a pass through bar from the kitchen to the dining area, a wet bar, wood burning fireplace, patio, outside storage, ceiling fans in both bedrooms plus the living room and overhead lighting through out. Includes full size washer and dryer connections, too.